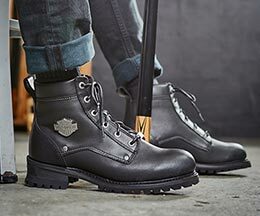 With a sturdy 2” heel complimented by a lightweight outsole and heel, and stretchy back shaft for optimal fit, the Delwood boot is practically perfect. 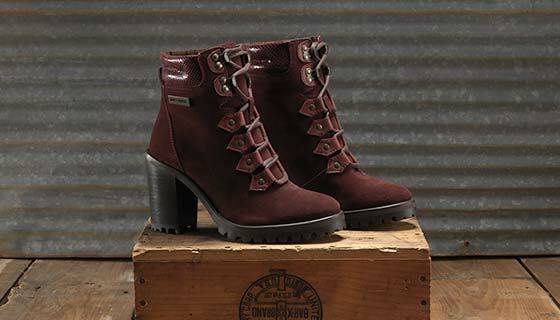 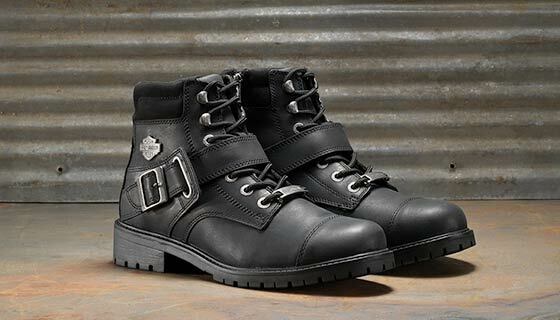 A higher than average front shaft and front and center embossed HD logo lets this boot do the talking. 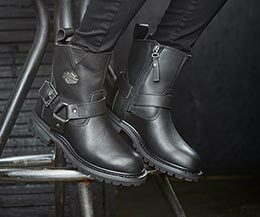 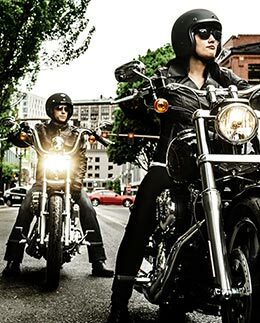 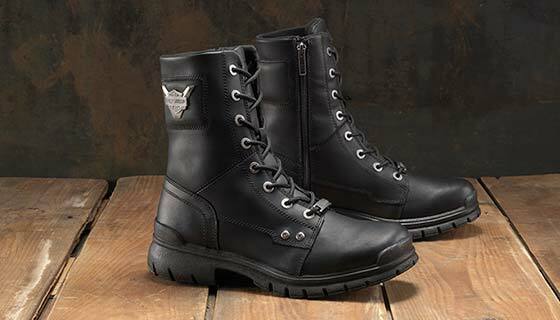 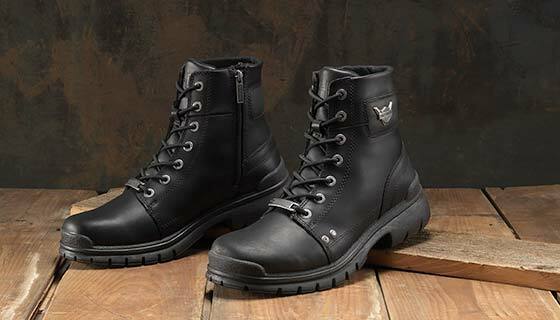 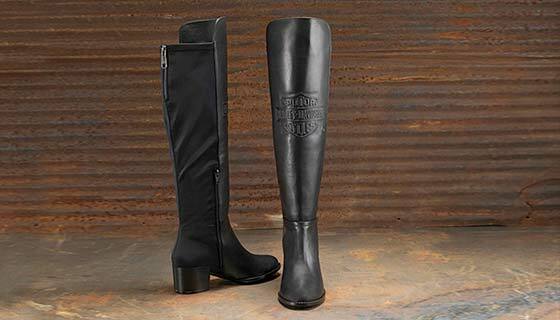 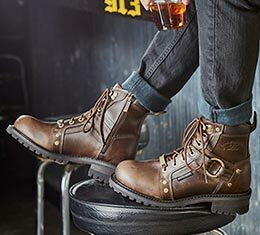 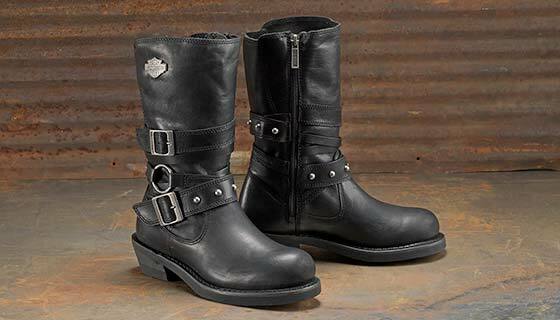 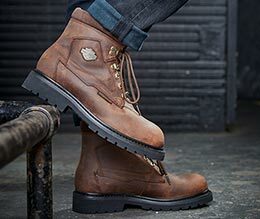 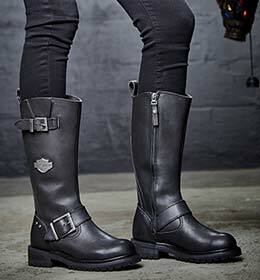 A men’s leather boot with Harley-Davidson® authenticity in every detail. 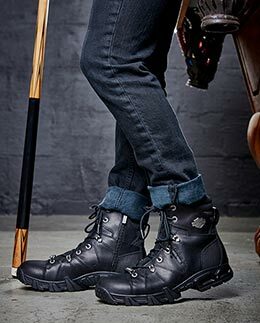 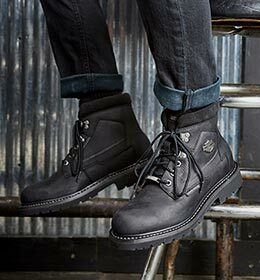 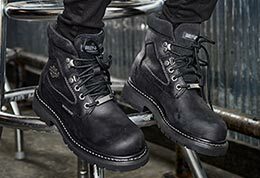 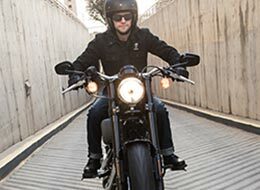 The Bowers features full grain leather, metal hardware stamped with the motor company’s name, a padded collar for long lasting comfort, breathable mesh lining and cement construction. 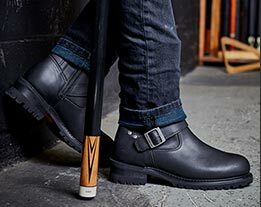 Glassford is tall with stylish strap detailing complimented by a YKK® locking inside zipper with a Velcro® closure for secure comfort. 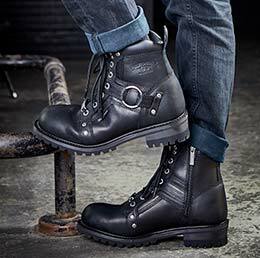 A stretch panel on the back of the calf ensures a more perfect fit. 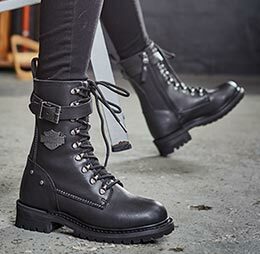 A mashup of classic women's leather harness and engineer boot design with a huge dose of strappy H-D® styling, dare to mix it up for any occasion with the Ardwick. 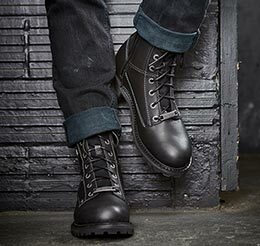 With a heritage silhouette and updated features, the Dunleer is a lightweight short combat style boot made for all day wear. 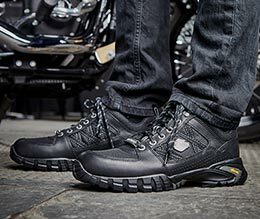 The Dunleer is made with full grain leather, a mesh lining, and a YKK® locking inside zipper for comfort and convenience. 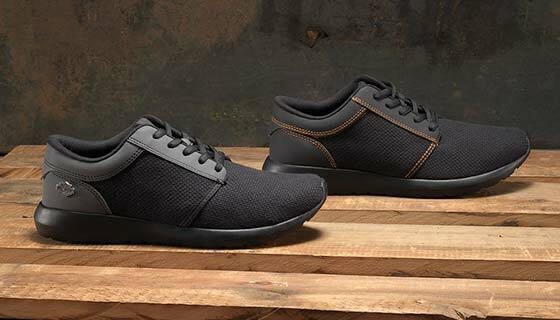 A men’s knit sneaker with a fresh silhouette, lets you take on your day or night in style. 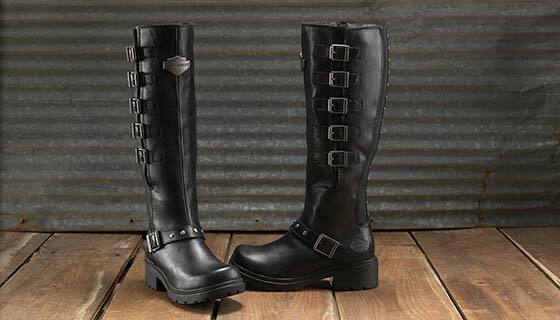 Two tone materials with iconic bar and shield fixed to the tongue of the Jenkins gives it just the right amount of H-D® infusion. 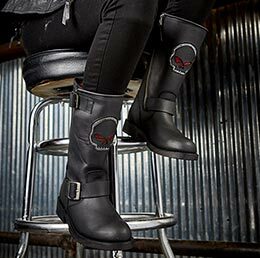 Sassy style with a look unlike any other, the Catterick features soft suede inside and out, a padded collar with exotic textured detail, and stylized lacing features to turn heads. 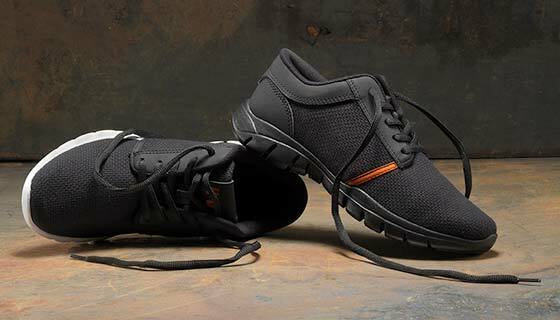 A women’s knit sneaker with a fresh silhouette, lets you take on your day or night in style. 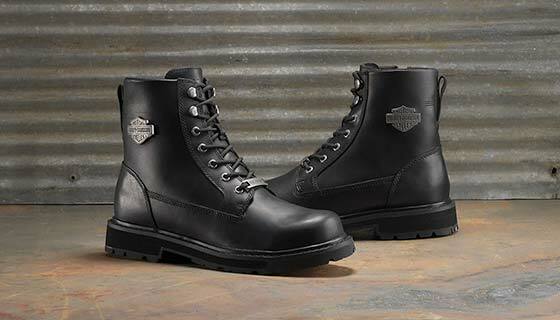 Two tone materials with iconic bar and shield fixed to the tongue of the Jenkins gives it just the right amount of H-D® infusion.